Improved sectorial policy dialogue between the EU and South Africa, where possible supporting the creation of synergies among the various dialogues. Increased institutional capacity to help implement the areas of cooperation of the TOCA, the Strategic Partnership Joint Action Plan and the SADC EPA. Increased awareness and understanding of the TDCA, the Strategic Partnership Joint Action Plan and the EPA. The Dialogue Facility contributes to the strengthening of relations between the European Union (EU) and South Africa (SA). Its purpose is to facilitate the implementation of priority aspects of the SA-EU Trade, Development and Cooperation Agreement (TDCA) and the Strategic Partnership Joint Action Plan (SP-JAP) and raise awareness of the special relationship between the EU and SA. The second phase of the SA-EU Dialogue Facility (SA-EU DF) was set up in 2016 to facilitate and support current and future implementation of Policy Dialogues between the SA and the EU and its Member States on a broad range of key sectors and issues, with the overall aim to strengthen strategic relations between the SA and the EU. The programme is now in its first year and is due to end in April 2020. Through its Programme Management Unit (PMU) the Dialogue Facility contributes to establishing and developing policy dialogues between South African Government Departments and Agencies and the EU and Member States. Increased institutional capacity to help implement the areas of cooperation of the TDCA, the Strategic Partnership Joint Action Plan and the SADC EPA. Effective programme implementation and appropriate visibility of actions is ensured. The SA-EU Dialogue Facility is managed by a Consortium consisting of one European and two South African partners, thus representing both perspectives of the policy dialogue under this project. 33 Years of experience in the public sector and over twenty years of professional experience policy design, dialogue and development and international development cooperation experience. In-depth knowledge, experience and expertise in development cooperation, with particular focus on Official Development Assistance and Programme and Project design, development, implementation, monitoring, evaluation and review. Holds Masters degrees from University of the Western Cape and University of Cape Town and a Doctorate in Education Management & Leadership (Education/Business Partnerships) from the Rand Afrikaans University (now the University of Johannesburg). Is responsible for providing support to the Programme Management Unit (PMU) team by running the office and acting as a personal assistant to the Team Leader and Key experts. She has thirteen years’ extensive experience based on her support to successive Regional Directors of the Swiss Agency for Development and Cooperation (SDC) Embassy of Switzerland. She is currently completing her Degree of Bachelor of Commerce Human Resource Management with the University of South Africa (Unisa). 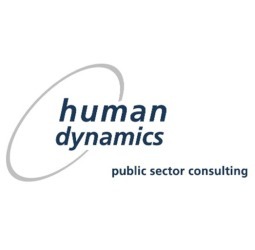 Human Dynamics, is a leading public sector consultancy and is highly experienced in the management of EuropeAid technical assistance projects, including in South Africa. Dynamics has considerable experience working on projects which provide capacity building activities to staff of public sector institutions and policy dialogue between EU and its strategic partners. Human Dynamics currently implements the EU funded Pro-Poor project and operates a project management office in Pretoria. 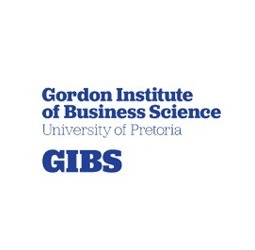 The Gordon Institute of Business Science (GIBS), from the University of Pretoria runs the Centre for Leadership and Dialogue, which is very relevant for this project. 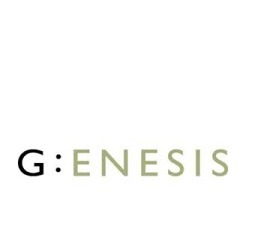 Genesis Analytics is a South African consulting firm headquartered in Johannesburg, providing expert economic and strategy advice to a wide range of governments, regulators and corporations on all matters involving competition and regulatory economics. The Dialogue Facility team (Programme Management Unit) is made up of three long-term experts who work closely together to administer the Dialogue Facility programme in line with the strategic guidance of the Programme Steering Committee.